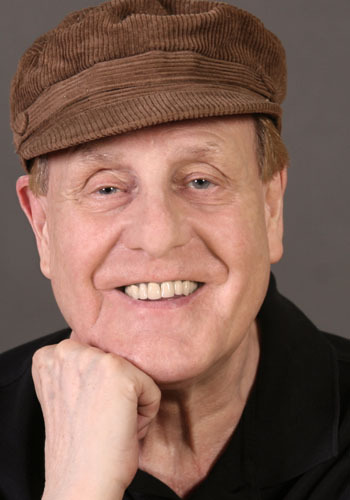 Ballet master David Howard, affectionately known in the media as “Teacher of Stars”, has died at 76. Howard trained at what is now the Arts Educational) School and the Royal Academy of Dance, eventually becoming a soloist with the Royal Ballet, then leaving after seven years to join the National Ballet of Canada. He also appeared in West End musicals, among them Bob Fosse’s Little Me. However it was as a teacher that he made his mark. In the late seventies he started guest teaching for the Royal Ballet, American Ballet Theatre, Joffrey Ballet, San Francisco Ballet and National Ballet of Canada. It was his work in America that was fundamental in his career, starting when Rebekah Harkness invited him to teach at her school in New York in 1966; eventually he became the school’s director. In 1977 he decided to open his own school which was next to the Lincoln Center on Manhattan’s Upper West Side. The position was fortunate, and not casual, for ABT stars Natalia Makarova, Mikhail Baryshnikov, Gelsey Kirkland, Cynthia Harvey, and others, soon found their way into his class. His teaching methods influenced and inspired thousands, including many of the most important ballet dancers of the last half century. David’s unique methodology is founded in scientific approach to movement involving kinetics and anatomical principles. His teaching techniques are as revealing and applicable to the teaching of emerging young dancers and adult beginners as to established professionals. David Howard approaches the acquisition of ballet through dynamics of movement, musicality, and energy patterns. His kinesthetic approach eliminates much of the tension and resulting injury associated with technique as it is traditionally taught. Recently he was teaching classes at Steps on Broadway and Broadway Dance Center, coaching successful competition winners, and worked with theatre, television and motion picture stars, most recently Bebe Neuwirth, Mary Tyler Moore and John Lithgow. There have been many influences in my dancing life. I’ve always said that my first teacher taught me the basics and the difference between what was beautiful and what was ugly. It was David Howard who taught me to dance. He was one of the least selfish people I have ever known. He threw my 21st birthday party for me at his studio. He would work with me in the evenings, for absolutely no pay, from 7pm until 10.30 or later, after rehearsal with ABT- so that I would “get to a higher place” and understand exactly what that meant. The last time I saw David was last summer. I arrived at Steps with my son, simply because I wanted to see him at work again. If I was in New York, I wanted to hear the sound of his voice, hear the rhythms he gave to his pianist, witness the perfectly balanced kinetic combinations he gave. David gave me the joy, the flame that has kept alive for me the love of being in the studio. Taking his class was hard work, but it was also a pleasure; one that I hope to be able to transmit to others some day. There have been many imitators, but there will always be only one David. His selfless dedication to dancers, his knowledge, and his love will forever be in my heart. I’d like to believe that David is now at a “higher place”.